When I woke up this morning I was planning to write about Trump’s speech at AIPAC last night, it was the last thing I heard as I was going to sleep. By the time I got back home this morning the news alert came across my phone of a bombing in Brussels. Israeli news went live to Brussels and that became my morning. The news was bad and only got worse as the time went on . The world seems to be faced with a problem that there is no real solution. What do you do when a part (even if it’s a small part) of a major religion has declared war on the civilized world? It is a war that has been going on for twenty years, has gotten worse over time and no one has a real solution to it. I certainly do not claim to have a clue at this point. Which brings me to the AIPAC conference. This afternoon Israel time Prime Minister Netanyahu spoke to the convention. Since it was in the midst of the non-stop news from Belgium it was carried live on Israeli TV. In fact, it was shown on split screen with Netanyahu filling a third of the screen and the pictures of the destruction at the airport taking up the rest. Netanyahu’s speech was not all that different from speeches that he has given in the past. 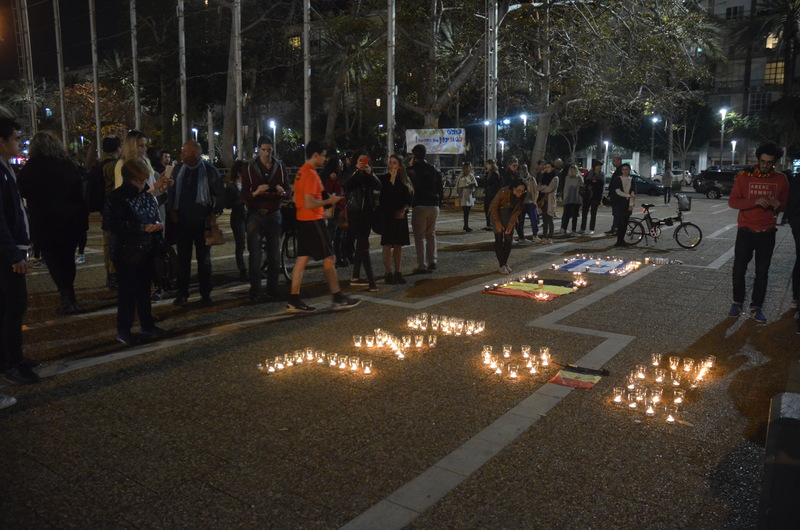 This speech began with condolences to the victims of today’s attacks. He, of course presented the standard line that the terror attacks in Europe are merely a continuation of the terror attacks against Israel. Terror with no real goals. Usually, I just dismiss that view, and part of it is clearly ridiculous. Regardless of one’s political views, it must be admitted that the Palestinians have a grievance. Does it justify terrorism of course not, but one should not say they have no grievance. On the other hand, I have recently begun to believe there is a greater link between the act of the ISIS and our dispute with the Palestinian then we have understood to date. That tentative link I believe is the difficulty that Islam has in making compromises. After all, we would never have had 70 years of war if the Arab/Muslims of Palestine had been willing to compromise in 1947. Or if they had been willing to accept their defeat in 1949 and just resettle in new places. I believe we have underplayed the religious element of the conflict. Its been easy in the last few years to say that the window of compromise was closing as the conflict has become more religious and less a secular nationalist conflict. However what if it was always a religious conflict and we just did not recognize it. Now finally to Trump, I had no doubt that AIPAC had to invite him. He is after all the most likely Republican candidate for President. I also opposed the walkout for the same reason. On the other hand the enthusiasm that he was received with was stunning and depressing. How a Jewish group could receive a demagogue with such enthusiasm is beyond my understanding. Even more importantly how can anyone believe that Trump is the best candidate for Israel. I say that on two levels. First, his contradictory statements. Who knows what he actually believes. But more importantly, his stated policies for US foreign relations will, without doubt, weaken the United States in the world. The strength of Israel is indirectly tied to the strength of the United States. A Trump presidency would clearly weaken America in the world. 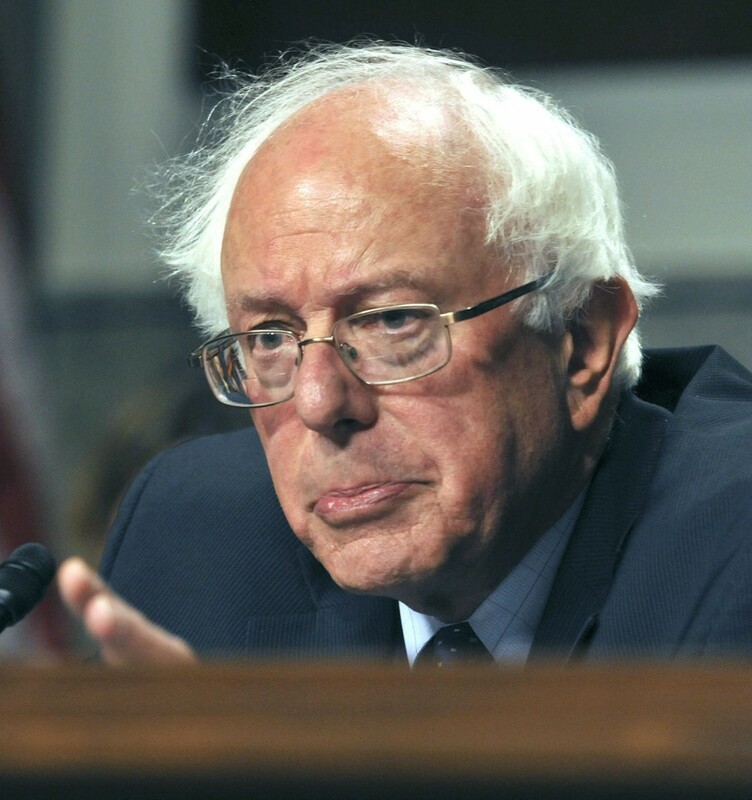 However, it’s not all these areas that would bother me about a Sanders Presidency, for ultimately as “President Sanders” would quickly find out his ability to impact economic matters is limited, it’s really the role of commander and chief and chief diplomat that counts. I have alway been what was once called a “Henry Jackson” democrat. While I think that the invasion of Iraq the second time was one of the greatest mistakes in US history, and Sanders gets points for his opposition, his opposition to the first Iraq war was mistaken. Iraq could not be allowed to have capture and sovereign neighboring state that was an ally of the US. Furthermore, his view that America can achieve its goal almost solely through diplomacy is mistaken. I believe he underestimates the vital role the US plays in the world system, and whether Americans like it or not, the US is the worlds’ policeman, with the only navy and air force to capable of carrying out that role. In short I think Bernie Sander as Commander in Chief would make all but his most ardent supporters miss the days of the Obama Presidency. Living in Israel during an American election year has always been an experience. I have had a site on Presidential elections on the web for 20 years and it needs to be continuously updated. This forces me to be more attuned to events and follow them closely in real time. Thanks to twitter I can get up in the morning in Israel and hear blow to blow accounts of the various debates. 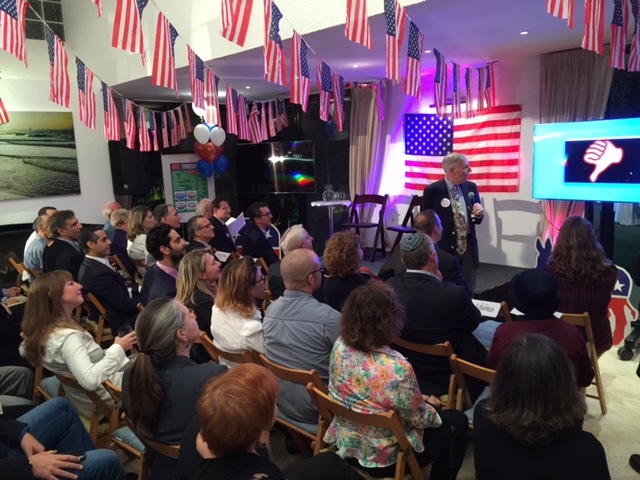 On the evening of Super Tuesday I found myself presenting the App to a house full of guest in the home of the Deputy Head of the US Mission in Herziliah. It was a fun and interesting evening. As to the results themselves- one of the ideas for the evening was a contest to have people pick who was the likely winners in each of the contests. I must say there were a enough surprises Tuesday night that there were no winners, the closest winner had only two contests wrong. It was a night of small surprises, with Rubio pulling off a surprise victory in Minnesota, or Cruz winning in Alaska. But the overall narrative seems crystal clear on the Democratic side- Hilary will win, and while still a little hazy on the Republican side the means of stopping Trump are what is most hazy. If it was anyone else, he of she clearly would be the presumptive nominee. While Carson has bowed out, it seems clear that neither Cruz Rubio or even Kaisich will . By the time they do, it will most likely be too late for the anyone to stop Trump. Of course Trump could self-destruct- and certainly something terrible could be found in “his closet”. but if I had to bet at this moment I would say it will be Clinton vs Trump. What I find most interesting as someone who reads the news constantly, and of course sometimes write it, is how little has been discussed about what factors are driving the Trump and the Sander phenomena. What is causing so many Americans to choose candidates far from the mainstream? Candidates who in any other elections year could hope at best for a third party nomination. I have written a little about this before and will write about it in more depth in the future.